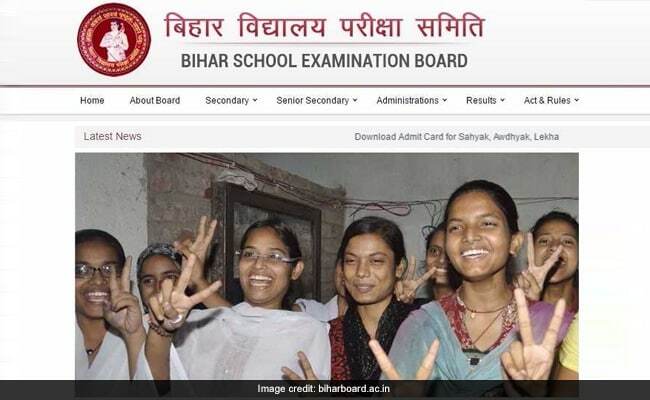 The Bihar government has begun the process of identifying the beneficiaries of a scheme, under which unmarried girls who have cleared their intermediate exam this year are eligible to get Rs. 10,000, an education department official said. The one-time monetary award will be given to the girls as part of the Nitish Kumar government’s ambitious scheme — ‘Mukhyamantri Kanya Utthan Yojana’ (MKUY) — launched in April this year, he said. “A direction has been given by the education department to all districts to shortlist beneficiaries who cleared the state’s Plus-Two exam, the results of which were declared on June 6, for the state government award,” Principal Secretary, Education, R K Mahajan, told PTI. After identifying the eligible candidates, the money would be transferred directly to their bank account in July, Mr. Mahajan said. “The scheme, run by the education department, aims to promote education among girls, besides fighting social evils like child marriage, which, in turn, would lower fertility rate and control population. Only unmarried girls who cleared the Plus-Two exam are eligible for the benefit,” the principal secretary stated. The MKUY scheme, approved by the state Cabinet on April 19, offers a bouquet of incentives for girls, right from their birth till they complete their graduation. In case of a graduate, the state has promised a sum of Rs. 25,000, irrespective of the girl’s marital status. “The programme aims to take care of a girl, irrespective of her caste or religion, by providing a total sum of Rs. 54,100 at different stages,” Mahajan said, adding that the Nitish Kumar government has earmarked Rs. 1,400 crore for the scheme. According to the details given on government website, the benefit of the scheme would be limited to two children per family. Bihar’ s total fertility rate stands at over 3 while the national average is currently 2.3. The state government had launched a campaign against child marriage on October 2 last year. Chief Minister Nitish Kumar, at a programme last year, had said education of girls has a direct bearing on Bihar’s fertility rate, which slipped to 3.2 from 3.9 in the past. “If all the girls in the state study up to class 12 we can achieve the national average in terms of fertility rate or do even better than it As a result, we have decided to open a Plus-Two school in every village,” he had said. Mr. Kumar had also highlighted that his government’s sustained efforts to increase literacy among girls, including a programme to provide bicycles, free uniforms and well school bags, have increased their enrollment in class 9. “Earlier the number of girls studying in class 9 was only 1.7 lakh, now it has reached 9 lakh. The enrolment of girls in class 9 is almost equal to that of the boys in the state,” the CM had said.